Friday, Aug. 24 — * IRON MOUNTAIN, 7 p.m.
Thursday, Aug. 30 — * at Calumet, 7 p.m.
Friday, Sept. 7 — * HANCOCK, 7 p.m.
Friday, Sept. 14 — MANISTIQUE, 7 p.m.
Friday, Sept. 21 — at Ishpeming, 7 p.m.
Friday, Sept. 28 — * L’ANSE, 7 p.m.
Friday, Oct. 12 — * at Houghton, 7 p.m.
Thursday, Oct. 18 — * WESTWOOD, 7 p.m.
NEGAUNEE — You could call it a rebuilding year after a 4-5 record in 2017. After missing the playoffs for the first time in five seasons, the Negaunee High School varsity football team looks to build on what was a young roster last year and get back to the postseason. Miners head coach Paul Jacobson said he and his players are excited for the season to get underway and Mother Nature has been kind to them in the early days of practice. It was a roller-coaster season for the Miners last year. 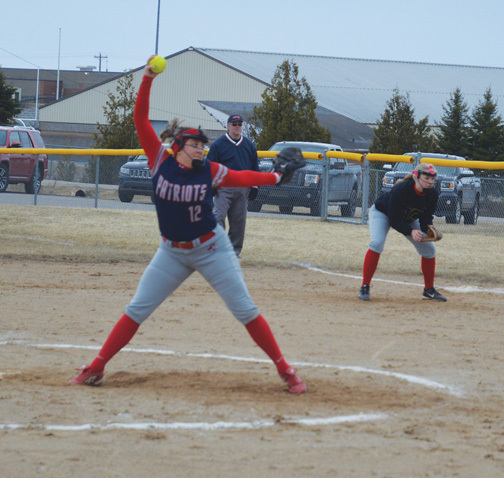 After starting the season with three straight losses — blowout setbacks to Boyne City and Gladstone and a seven-point loss to Calumet — the team kicked things into gear with some blowout victories of its own. 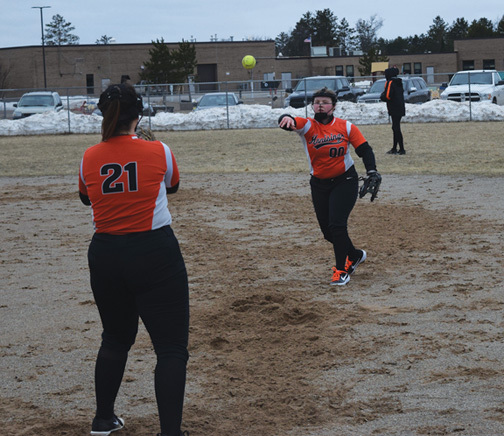 Negaunee defeated Iron Mountain, Gwinn and Manistique in three of its next four games, outscoring those opponents 111-14. That stretch also included a 21-14 win at Ishpeming. With a 4-3 record at that point, the season and the Miners’ playoff hopes came to an end when the win streak did. Negaunee finished with losses to Marquette and Westwood. Jacobson was asked how his team builds on the sub-.500 season. “You build first of all with a lot of players that you bring back from last year,” he said. “We’re bringing back eight or nine starters on both sides of the ball. One of the most notable returners for the Miners is junior quarterback Jason Waterman. Waterman excelled with his arm as a sophomore. Another notable returnee is junior wide receiver Drew DuShane, who was also an explosive return man for the Miners last season. Keegan Erva and Carter Richardson also return as senior wideouts. Logan Fish, Alex Munson and Tyler Hintsala are also newcomers at the receiver position. Seniors Theo Kumpula and Ander Sorensen are the tight ends. Eric Etelamaki, primarily a running back last season, is also listed as a wide receiver this season, but Jacobson said he’s also been getting some reps at tailback. Peyton Anderson returns as the primary fullback, while newcomer Jake Sikora and senior Johnathon Hill are also listed at running back. Up front, Jacobson said four of five starters among offensive and defensive linemen return. With the roster looking improved from last season, the Miners face some new opponents this season with the move to the Western Peninsula Athletic Conference. 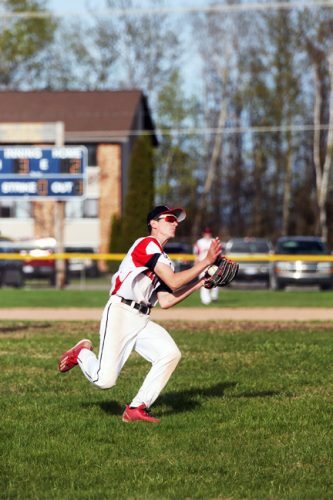 Negaunee will see Calumet for a seventh straight year, but this time as a conference foe. New opponents on the schedule include Hancock, L’Anse, Gogebic and Houghton. Negaunee last saw Houghton in 1957, a 14-0 Miners’ win with players who would now be well into their 70s. The rest of the schedule is filled with former Mid-Peninsula Conference opponents who also made the move to the West PAC. This includes Iron Mountain, Manistique, Ishpeming and Westwood. 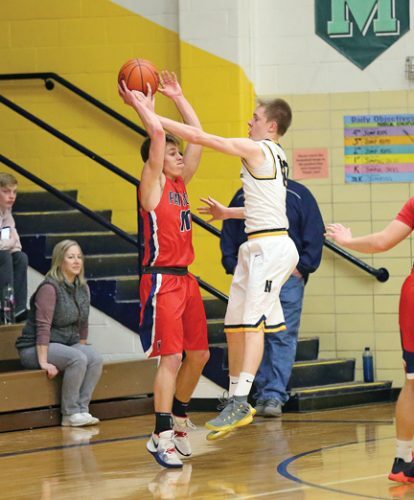 All are conference opponents in the West PAC “A” Division except Ishpeming and Manistique, which based on enrollment numbers, were placed into the league’s “B” Division. Jacobson said the move to a new league makes competition stronger and easier to fill a schedule with less travel. “It gives us the ability to fill a nine-game schedule,” he said. “We start off the season with Iron Mountain, who’s usually been a perennial playoff team, as well as Calumet and Hancock. We start off with those (in) Weeks 1, 2 and 3. “It’s always fun. It’s always interesting to play new teams. Houghton, Hancock, Gogebic and L’Anse are four teams we haven’t seen before. It gives a little sense of excitement. Asked who the threats are expected to be in the West PAC, Jacobson named familiar faces. “Obviously I’m looking at teams that I’m familiar with, and that’s the Ishpemings, the Iron Mountains and the Westwoods,” he said. “Knowing them from last year, they’re bringing a lot of people back. “Ishpeming had an injury bug last year, they weren’t really a 3-6 team. Westwood had a tremendous year last year and they didn’t lose much, and Iron Mountain is going to be younger but they’re bringing a lot back. Jacobson said he hopes to have a strong year with his maturing roster. And playoffs are always in mind. “We’re always looking to improve,” he said. “We don’t look at ourselves as a 4-5 type of program. We ended the season last year with a sense of urgency to get back this year and prove we’re a better team. Jacobson’s outlook for the season? To have his players ready every single week.